The University of the Fraser Valley men’s soccer team picked up its first point of the young Canada West season, rallying to tie the Victoria Vikes 2-2 on the road. Rookie midfielder Parman Minhas notched the Cascades’ first goal of the campaign in the second minute, but the Vikes surged ahead on goals from Isaac Koch and Nick Pineda Graham before the first half was up. Bronson Hartley’s highlight-reel volley in the 64th minute leveled the score, and despite a flurry of scoring chances for both sides in the dying minutes, it stood as the game’s final tally. The Cascades (0-1-1) now enter their bye week. They return to action with their first home games, Sept. 8 and 9 vs. the UBC Okanagan Heat and the Thompson Rivers WolfPack, respectively. Both games kick off at 8 p.m. at MRC Sports Complex. 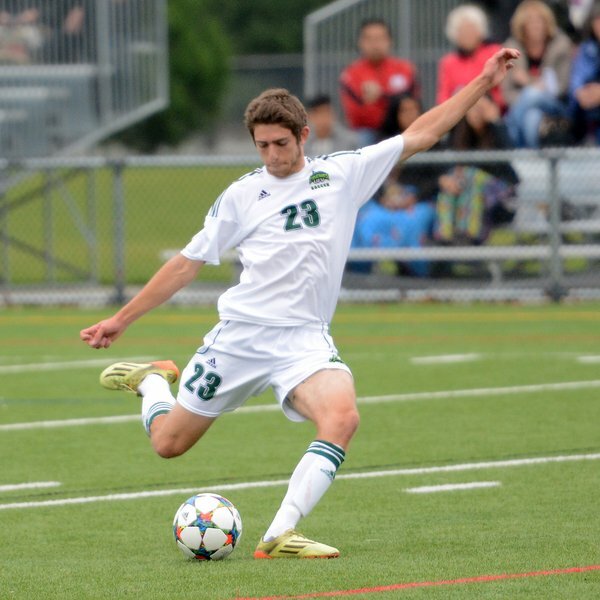 “It was a game of two halves, really,” UFV head coach Tom Lowndes analyzed. 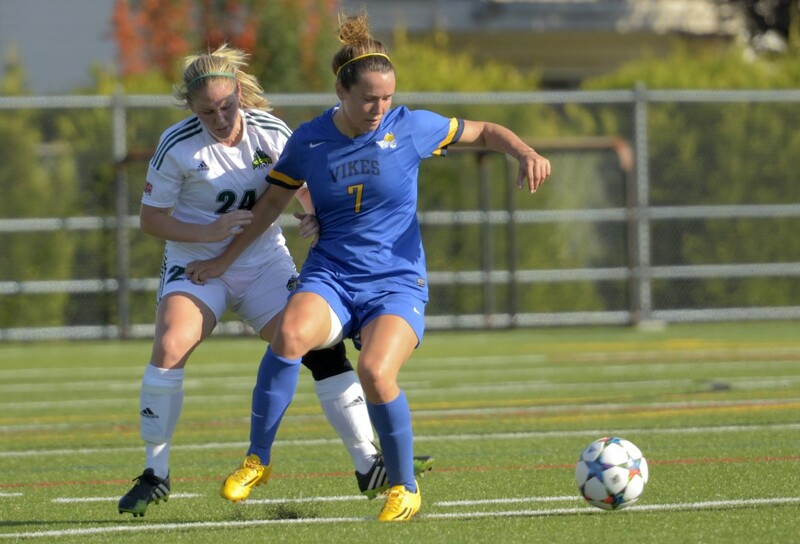 “The first half, I thought we were poor – UVic looked a lot more dangerous and were the better team. The second half, we woke up. We came out fired up, and started to play a little bit. The Cascades, coming off a 1-0 loss at UBC on Friday, wasted little time opening the scoring. Minhas took a pass from Brady Weir, made a move to his right between a pair of Vikes defenders and sent a shot from the top of the box into the bottom corner to the left of UVic keeper Maxwell Branyik-Gil. But the Vikes were unfazed, and carried the play for the balance of the half. On a quick counterattack in the 10th minute, Koch came flying down the left side and sent a perfectly-placed shot off the far post and in. Then, just before halftime, Pineda Graham found some space off a throw-in and fired a shot from just inside the box into the bottom corner. Lowndes replaced starting keeper David Hicks with Alex Skrzeta to begin the second half, and the Cascades came to life offensively, taking the play to the hosts. Hartley came through with the equalizer – after Weir’s free kick went off the crossbar, the sophomore midfielder tracked down the rebound and rifled home a volley from 12 yards out. Both teams had quality looks down the stretch. Off a Cascades throw-in, Hartley spun his way to the middle and unleashed a rising shot that just missed the top corner. At the other end, Skrzeta was called upon to make a diving stop of Tarnvir Bhandal’s header in the 88th minute. Be the first to comment on "UFV Sports Saturday – Men’s Soccer – First Points Of The Season"